PhotoUpLink extracts certain information from the EXIF information contained in JPG files and can send it to a database of your choice. One row of data is created for each image or video selected. 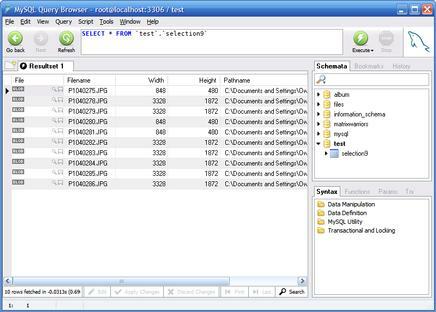 The information contained in each row is: Filename, Width, Height, and Pathname. 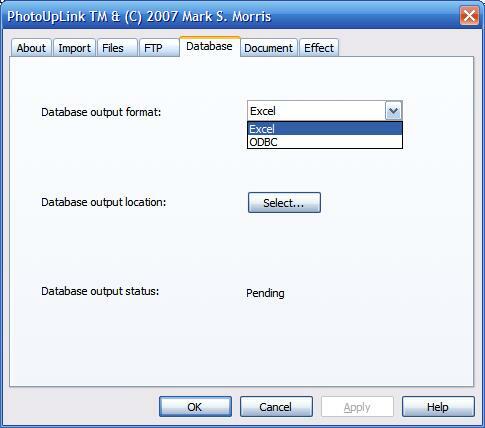 To use the Excel export, select Excel as the database output format. 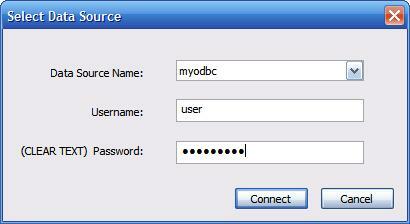 It is required that you set an output location also before running. Click Select then choose the folder and name of the file to be created. 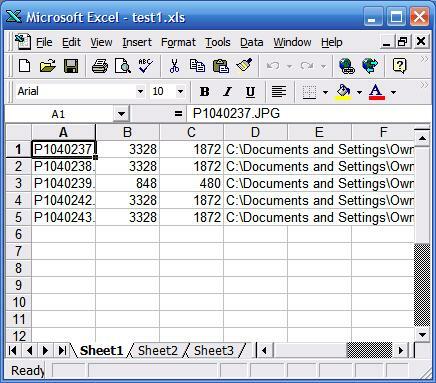 Excel will automatically open and create a new spreadsheet with the information in it when you click Export. If you encounter any problems, try opening Excel first then click Export again. Video and other file types are not supported. 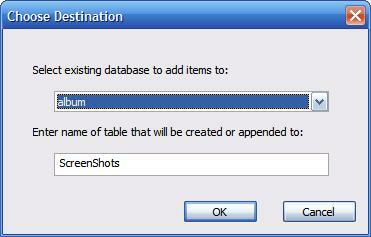 Table names with spaces or special characters will fail.